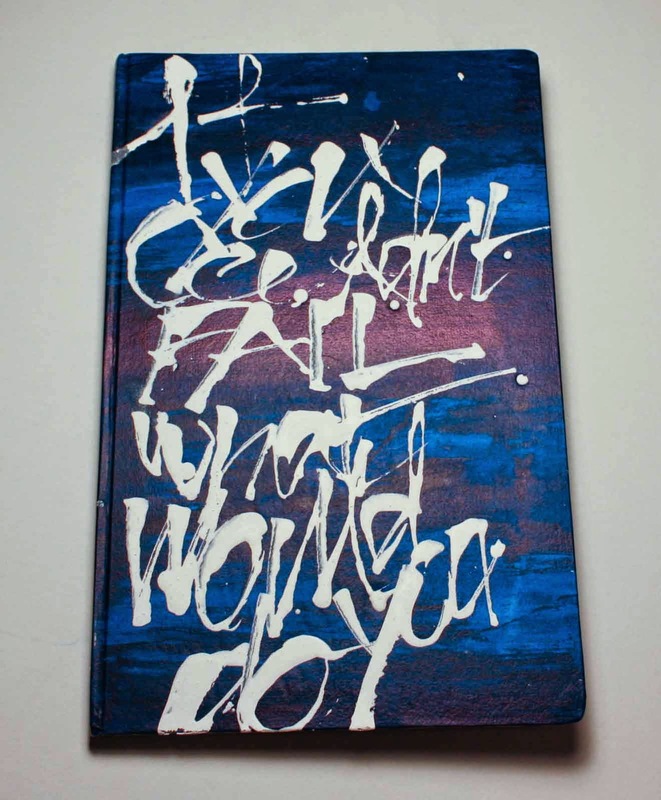 This weekend I made a blue sketchbook with painted paper. 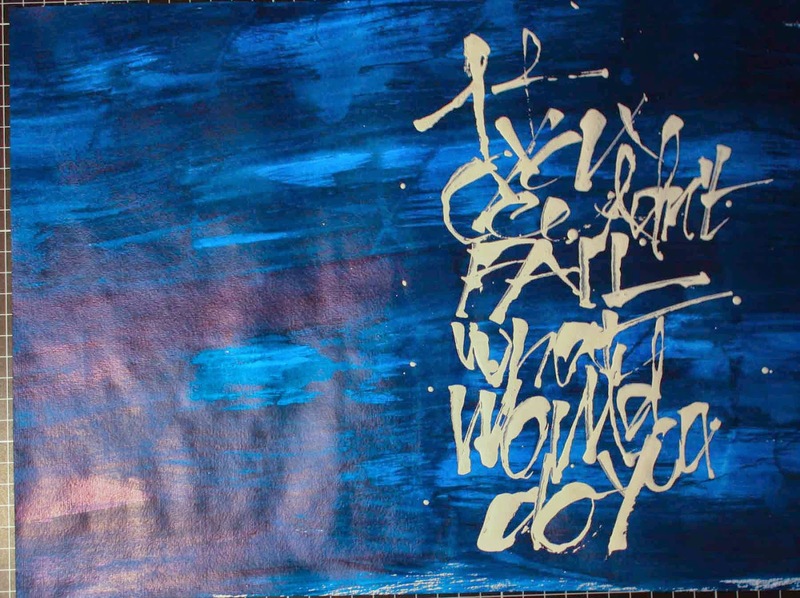 Schmincke acrylic ink on Fabriano 5 and a verly loose calligraphy text: 'If you couldn´t fail, what would you do?'. 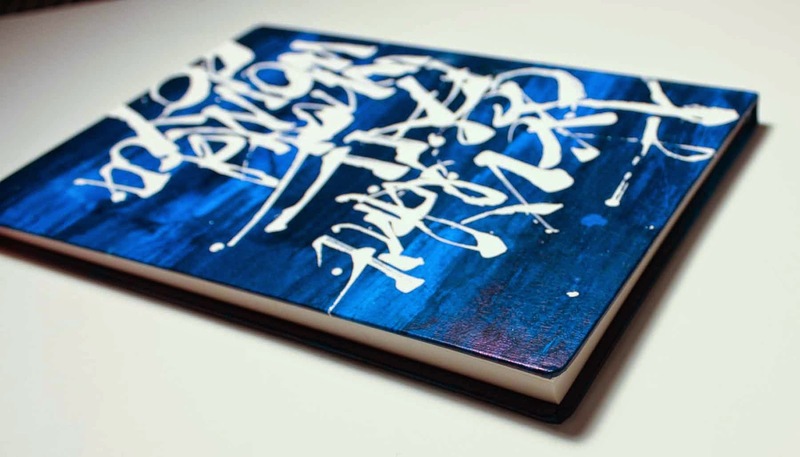 Book block: 70g Sennelier paper. 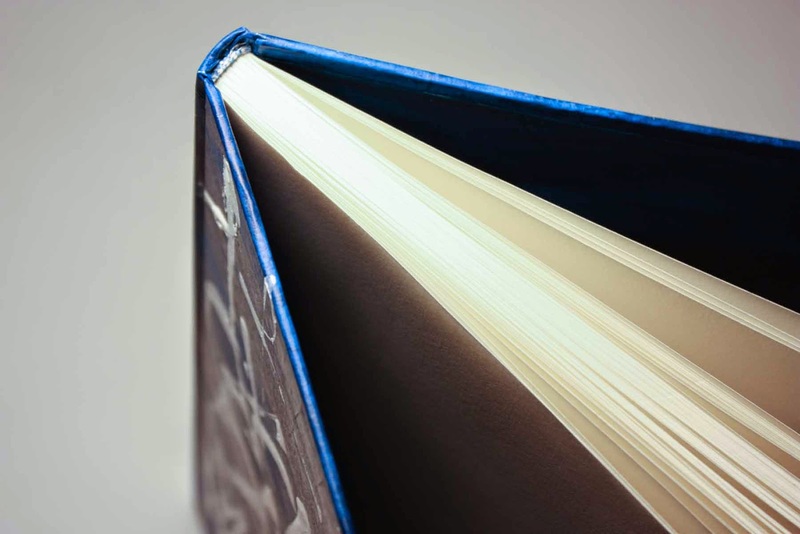 Light blue headband, and painted endpapers.